Skin surgery is commonly done either for diagnosis or removal of a skin lesion. It is done under local anaesthesia, meaning procedure is mostly painless. These include skin biopsy, electrosurgery, excision and cryotherapy (liquid nitrogen). A skin biopsy is an easy and quick procedure done to remove a piece of skin. It is then sent to the laboratory for further identification under microscope so a diagnosis can be made. Skin biopsy is usually done for diagnosis of your skin condition. A lot of times, skin conditions can mimic one another. 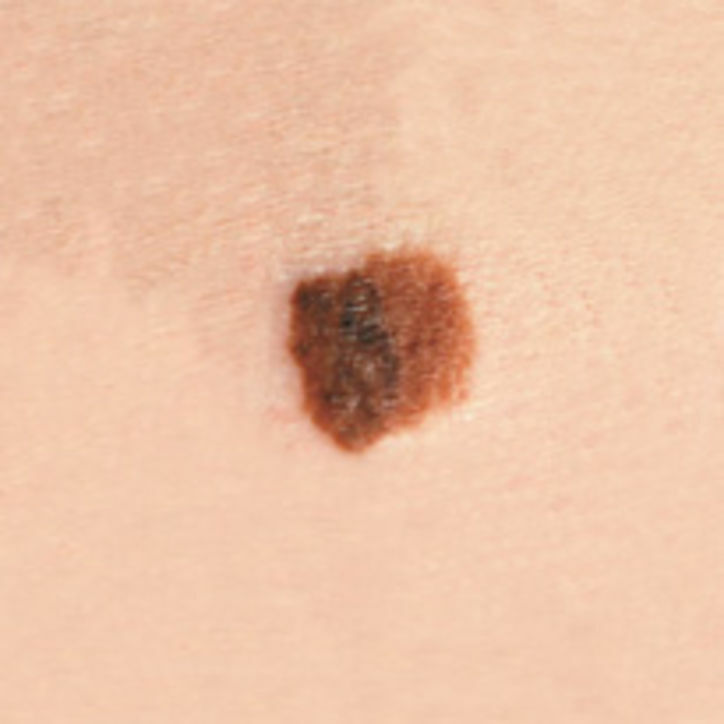 For example, a skin cancer (melanoma) can sometimes look similar to a harmless mole. Skin biopsy provides the additional vital information when definite clinical diagnosis cannot be confirmed. It can even tell us what kind of skin cancer it is so the appropriate treatment can be advised. All skin biopsy is done under local anaesthesia. A small injection is given so the skin quickly becomes numb and the procedure is painless. 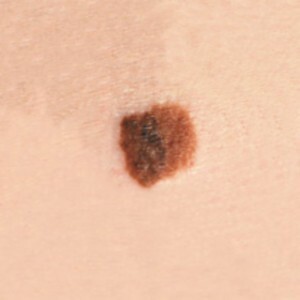 A melanoma (skin cancer) can look just like a mole! There are different types of skin biopsy depending on the type and the location of the skin condition. The punch biopsy blade takes a small round core of tissue ranging from 3-4 mm in diameter. It is a quick procedure. A stitch may be required or, if the wound is tiny (most of the time), it will heal adequately without a stitch. A shave biopsy is done with a scalpel or razor blade and may be used if the skin lesion is suspected to only affect the top layers of the skin. A very superficial slice of the skin is removed. No stitches are required usually. There will be a small scab that will normally take 1-2 weeks to heal. Sometimes when a larger piece of skin is needed to make a correct diagnosis, a deeper biopsy is done. For incisional biopsy, stitches are usually required after the removal. Electrosurgery uses high frequency electric current that generates heat to either stop bleeding or to remove or destroy the abnormal skin lesion. This is an effective method for removal of multiple benign skin lesions such as harmless moles, warts, molluscum contagiosum, cherry angioma, skin tags and even solar lentigines (sun spots). This procedure gives a very good cosmetic effect. Healing usually takes about 3-4 weeks. However, this method may not be used for skin conditions that require confirmatory diagnosis such as suspected skin cancer or suspicious looking moles. In such cases, biopsy or excision is necessary. In excision, skin lesion is removed completely under local anaesthesia. It is usually done if the skin lesion is highly suspicious of skin cancer. This is because skin cancer usually penetrates deeper into the skin tissue although they may be visibly small. If not removed completely, it may be dangerous to you. It usually requires stitches, and may leave a small scar after the wound heals completely. Sounds scary, is excision necessary? Excision is necessary for skin lesions highly suspicious of skin cancer because skin cancer like melanoma and squamous cell carcinoma is known to be very dangerous. Cryotherapy is a technique using liquid nitrogen to freeze and destroy skin lesions. Liquid nitrogen is very cold. It will freeze any living tissue it comes into contact with. It can be used to treat skin conditions like warts, skin tags, and small lumps and bumps on the skin. Sometimes, a few treatment sessions may be required for larger or thicker skin lesions like warts. Cryotherapy can be a little uncomfortable but is usually not painful. Most people find it quite bearable. If you have any lesions on your skin that you are concerned about, you should consult a doctor immediately to get it properly assessed. A minor skin biopsy/surgery may be required and it is not scary at all!